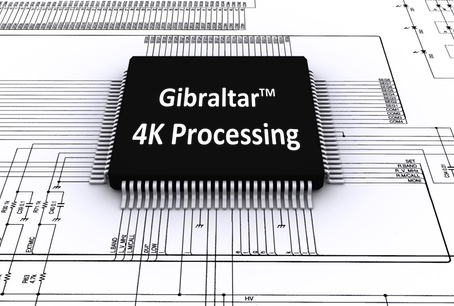 Gibraltar™ is a high-performance firmware-based processing architecture that converts video / graphics data into digitally accurate, gray-scale weighted and multi-toned bit-planes for PWM-based imaging and display systems. 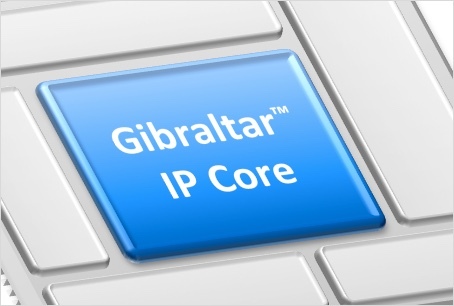 Synthesized in modern programmable devices such as a Xilinx® 7-series FPGAs, the Gibraltar™ IP Core comfortably supports sustained data throughput in excess of 50 Gbps. Imagine the bandwidth and flexibility of Gibraltar™ Processing combined with the highest resolution native 4K DMDs (1.38") made by TI. Designed with modern, proven components and featuring a high-speed SerDes input interface, the Gibraltar™ 4K Formatter Hardware Reference Design is the ideal starting point for ultra high-performance display and imaging applications.